Locke, a successful construction foreman and loving family man, is on his way to London for a very urgent reason, one which I will not spoil. In making this impromptu trip, he has had to both abandon an important work project and miss out on a soccer match with his kids. Locke is on the phone for most of the trip (via a hands free Bluetooth device), handling calls related to multiple catastrophes at once. He is surprisingly calm in his demeanor, even as he talks to a co-worker who is freaking out about the prospect of Locke not being at work in the morning. His company is on the verge of the largest concrete pour in European history, and now its most stable employee will not be there. Locke’s boss is predictably irate, but there’s nothing that can be done. Locke made his decision, and he’s sticking to it. What’s amazing about the film is that it remains riveting even as Locke talks about the difference between C6 and C5 concrete. This is a subject I know nothing about and have little interest in, but I was hanging on every word uttered out of Tom Hardy’s mouth. Hardy is the biggest reason this film works. This is entirely a one-man show, and he puts on a master class in acting. His soft spoken mannerisms are in total contrast to the hysterics often heard on the other end of the line, and the restraint Hardy shows in his voice is remarkable. The rest of the cast (including Olivia Colman, Ruth Wilson and Andrew Scott) are only heard, not seen, but all of them deliver exceptional voice acting. Director Steven Knight (best known for writing Eastern Promises and Dirty Pretty Things) does a wonderful job of tapping into the claustrophobic feeling that Locke has to be dealing with inside the SUV. There are times when everything appears to be crumbling down around him, but there’s nothing for him to do but continue to drive. 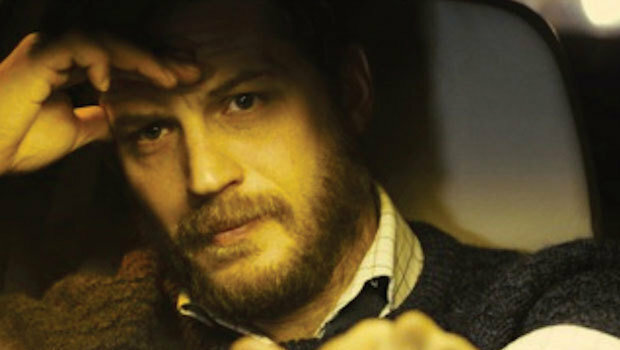 Most of the camera shots focus directly on Hardy’s face, further emphasizing his trapped feeling. Locke is a film that sounds like it could be a cheap gimmick, but it’s so much more than that. We are witness to the most disastrous day in one man’s life — it just so happens to take place entirely in a car. I believe part of the reason why I haven’t rushed to watch this film is because of the trailer. Not only does it make the film feel gimmicky, but it also suggests that Locke is all about the mystery surrounding some sort of final reveal. While the suspense may still drive the film forward, I’m starting to think that it’s more about the path of the character, and how his decision impacts those he loves and works with. Having read your review and a couple of others, I’m beginning to change my mind and I may end up trying this one soon. Hmm, I haven’t seen the trailer, but it sounds like it’s not an accurate representation of the film. The reason for Ivan Locke leaving for London is revealed within minutes of the film, and after that it becomes more about the impact of his decision (as you said). Definitely worth a look when you get a chance. Great review Eric! I already know we’re in agreement w/ this one, not perfect but still superb work all around. That claustrophobic feeling adds a lot to the ambiance and tension of the film. Thanks, Ruth. This is one of the early highlights of the year for sure. 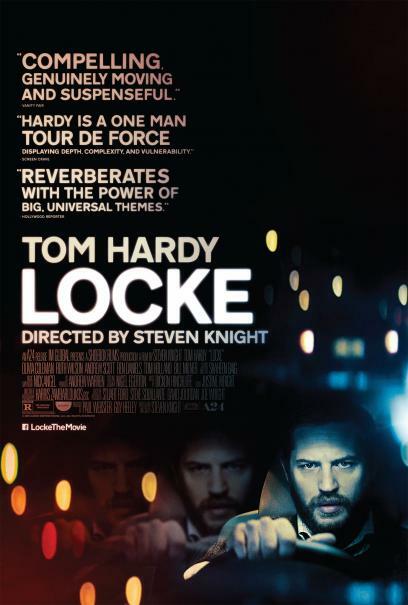 Not seen Locke as of yet. On my “must-see” list of 2014 film though. Glad it worked for you Eric, the premise sounds intriguing. Hope you get to see it soon, man. I haven’t seen many of this year’s films yet, but right now this is at the top of the list for me.